A vaccine may be on the horizon for respiratory syncytial virus (RSV), an infection of the lungs and a major cause of lower respiratory tract infections in infants, children, and the elderly. 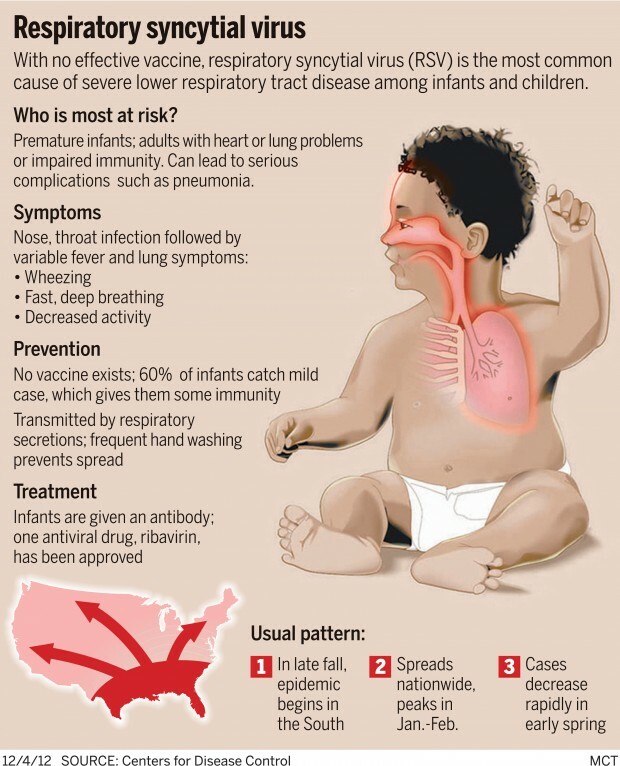 RSV blocks the airways and causes respiratory failure and in children younger than a year. RSV is the most common cause of bronchiolitis and pneumonia in children and hospitalizes 1% of infants in the USA every winter. Atlanta Clinical & Translational Science Institute (ACTSI)-supported researcher, Martin Moore, PhD, co-director, Emory+Children’s Center for Childhood Infections and Vaccines (CCIV), and assistant professor, Division of Pediatric Infectious Diseases, Emory University School of Medicine, Emory-Children's Center, generated a potent vaccine against RSV and hopes it will go into clinical trials within a year or two. Vaccine development is challenging, and currently no RSV vaccines are available. Moore and his colleagues have used an alternative strategy to develop a vaccine focused on mutating certain genes of the virus to create a stable, highly immunogenic live-attenuated RSV strain. This new recombinant RSV strain serves as a promising vaccine candidate. ACTSI is a city-wide partnership between Emory, Morehouse School of Medicine, and Georgia Tech and is one of over 60 in a national consortium striving to improve the way biomedical research is conducted across the country. The consortium, funded through the National Center for Advancing Translational Sciences (NCATS) and the National Institutes of Health’s Clinical and Translational Science Awards, shares a common vision to translate laboratory discoveries into treatments for patients, engage communities in clinical research efforts, and train the next generation of clinical investigators. Click here for other ACTSI pilot funding opportunities, including the current Emory ACTSI-URC award.